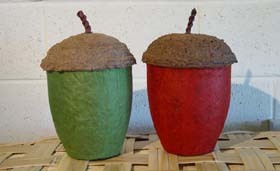 Coffins, caskets or shrouds for use in this burial ground must consist of biodegradable materials as far as possible. This means that the actual coffin, and anything that goes inside it, must be made from natural fibres such as softwoods, cotton or wicker; synthetic materials such as chipboard, brass and plastic handles are not accepted. 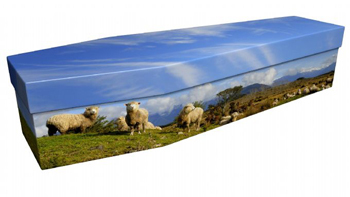 There are many different types of coffins available on the market today, coming from many countries and varying greatly in quality and eco-friendliness. Here at Brocklands, we source our coffins carefully to check what they are made from, to assess the effects of their manufacture on the environment, and to support British craftsmen as far as possible. We offer a wide range of coffins in different materials, styles and prices to suit all families. Choose a coffin from us, and we can have it sent direct to your Funeral Director in a day or so. We are happy for you to provide your own coffin, or source one from your Funeral Director, but we do need to approve the model before the burial. Click here to see the charges for coffins.